I love opening my mailbox during this time of year. There is something so very special in this digital age about receiving a tangible card in the mail. It's a little something that says, during this very busy hectic time of year I took the time and energy to remember you. Around here checking the mailbox is a big exciting part of our day. You should see the joyful looks on my children's little faces when we get a card! We hang each card with some pretty washi tape on the back of our kitchen door where the kids can see and talk about the pictures and friendly faces there. After Christmas, the cards are about the last of the decorations to be taken down. And I do NOT throw them away, no way man. Those will be gold one day! 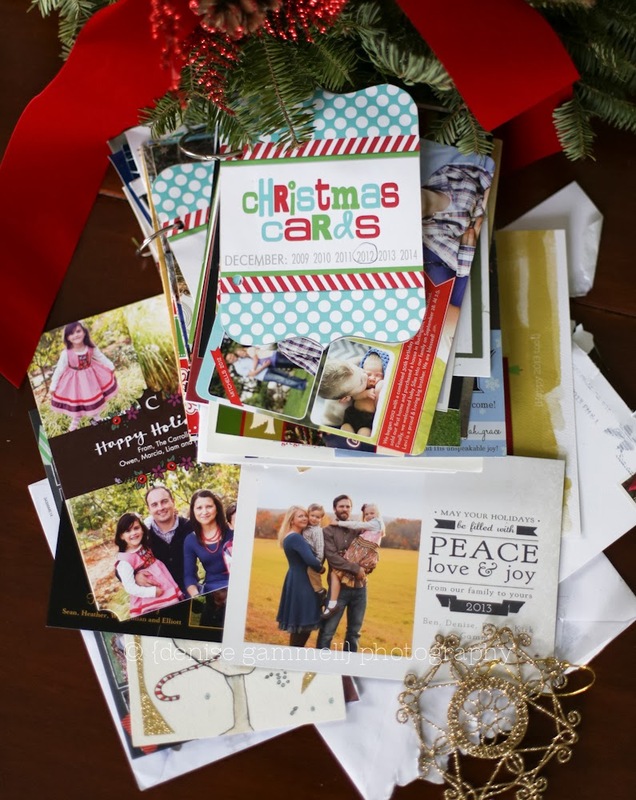 I saw this cute idea on pinterest with a free download for making a book cover for your holiday cards each year and cliping all the cards together with ring clips. Each year has it's own little Christmas card book now that eventually gets stored with the holiday decorations. These are another seasonal favorite of my kids, they love to flip through the 2010 card book and laugh at how cute their friends and cousins looked as babies. 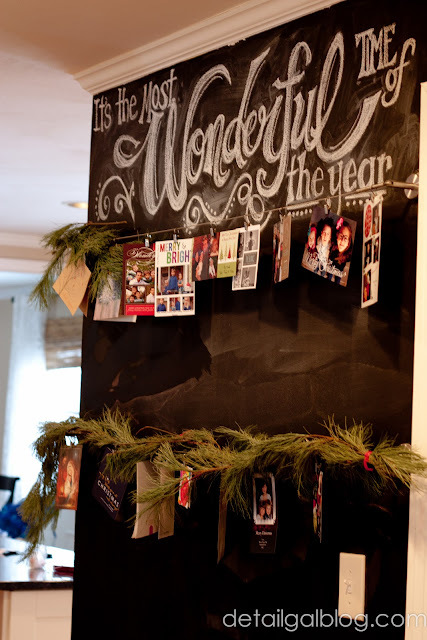 I love all of these holiday card display ideas from around the web. What is your favorite way to display your cards? 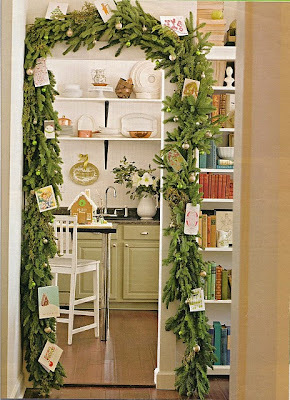 So thank you family, old friends and new friends; for brightening our days with your lovely Christmas cheer!